There's a special giveaway I want to tell you guys about: This Was Forever is graciously giving away false lashes and liquid eyeliner from Tsubasa's famous collection. I'm so excited! 1) Koji Dolly Wink Eyelash Number 2 "Sweet Girly" top lashes. 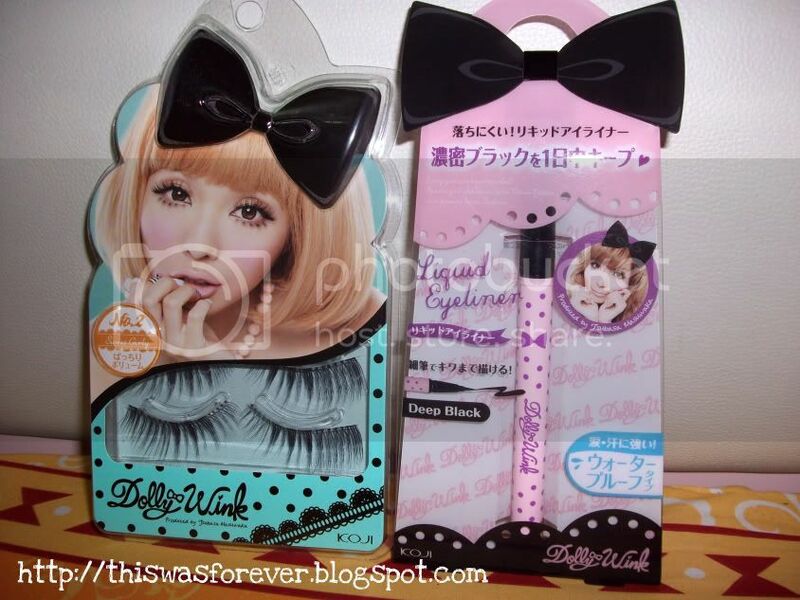 In the package it comes with two set of the lashes and also a small size Dolly Wink eyelash glue. 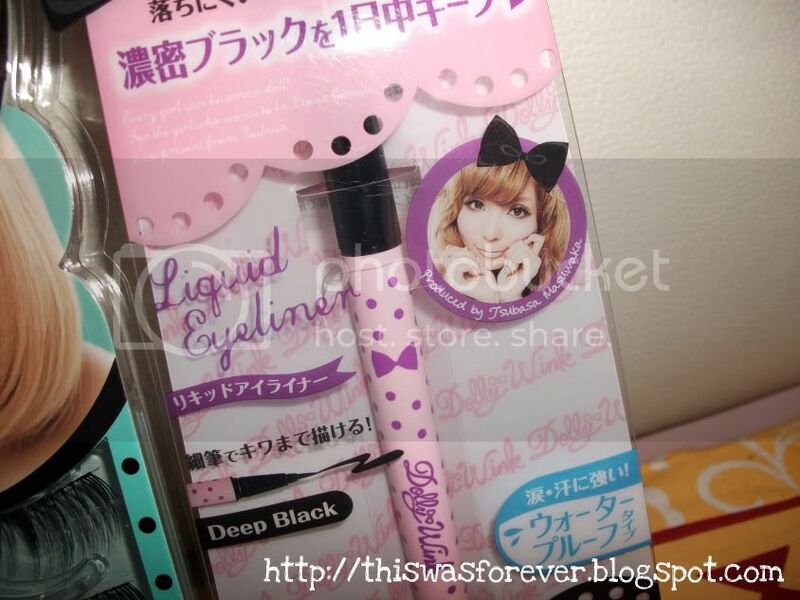 2) Koji Dolly Wink Liquid Eyeliner (Deep Black). This is one of my favourite eyeliner! It doesn't smudge or run and it goes one so smoothly. Even if you don't win this giveaway, you have to give this eyeliner a try! 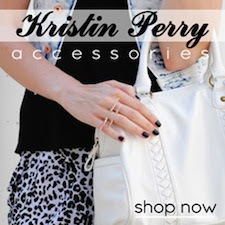 I'll post some FOTD's when I have time : ) For now, it's back to physiology!